Recently we gave 2 free Thesis Social Media Boxes for Thesis Theme 2.0. Today we will give free Thesis Breadcrumb box for Thesis Theme 2.0. Why we created breadcrumb navigation box? Breadcrumb is not only important for your visitor. It’s very important for search engine to crawl your website or blog. This is one of the SEO techniques for your websites. So only we created breadcrumb navigation box for Thesis Theme 2.0. 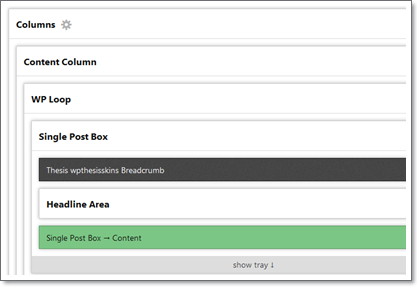 Let’s see how to use our breadcrumb navigation box to your websites or blog? Then click on that check box and select save boxes button. That’s all now you successfully installed our breadcrumb box. Now go to Thesis skin editor Single section. Now click on box and enable breadcrumb box, that’s all. Like this you can add this box in page and archive section. We launched Thesis Skins for Thesis Theme 2.0. if you have time, visit our Thesis Skins page. Hi, thanks for that breadcrumb box. The installation was easy and it works fine. I only have a little problem in my archive pages. On all tag-archive-pages the breadcrumb is like “Home > CategoryX ” where CategoryX is always shown instead of the tag-name. Do you have an idea, how to fix that issue. Give your archive page url. i will check and inform you..
Hi and thanks for your offer. 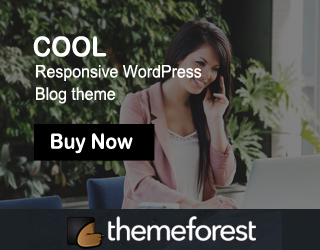 I am still working on the new theme. But i will get back to you when i´m ready. 3. Similar issues for archive pages. I’ve been using your box in conjunction with the Types plugin (for custom post types and taxonomies). Do you think there are compatability issues that are causing these problems and if so, is there a way to fix this? Give ur sitename, i will check and inform you..
the Breadcrumbs doesent work with Thesis 2.1beta. Is there an update available? With the Thesis 2.1, the box got some issues. Can you please update this boxes.. I don’t use your box for thesis 2.1 , this box don’t display in skin editor. Please help me . Thanks !